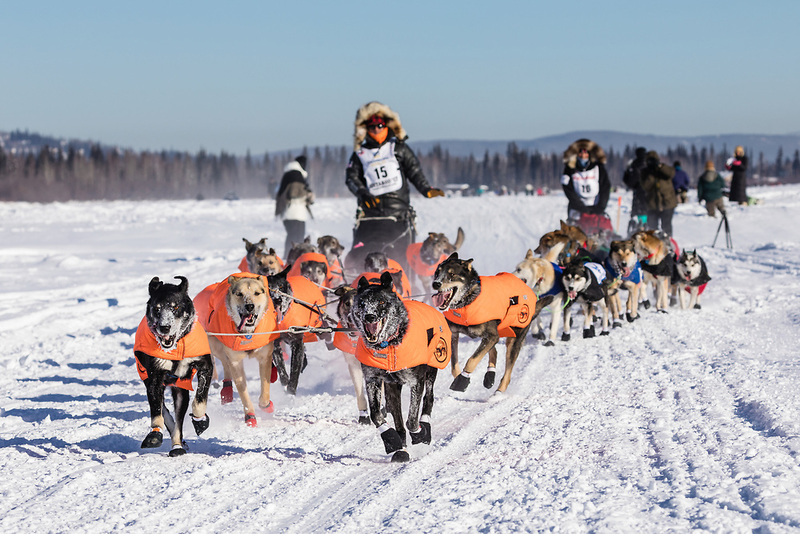 Mushers Martin Buser and Roger Lee competing in the 45rd Iditarod Trail Sled Dog Race on the Chena River after leaving the restart in Fairbanks in Interior Alaska. Morning. Winter.